Best Price Guarantee | Vegas.com: If you purchase your tickets via the link provided on this page and find a better price for Gregory Popovich's Comedy Pet Theater tickets for the seats purchased, Vegas.com will match the competitor's price and refund the difference. That’s customer care you can count on. This show has gone to the dogs — and cats. Featuring everyday pets doing extraordinary things, Gregory Popovich's Comedy Pet Theater is the cutest show on the Las Vegas Strip. You'll see dogs, cats, doves and other animals act out scenarios like passengers waiting to board a train, students in a classroom and patients waiting to be seen by a doctor. Of course the passengers, students and patients are played by Popovich's more than 30 pets. As the creator, he's the main star of the show. However, his cuddly cast members can't help but steal the spotlight. The show also features circus acts like juggling, gymnastics and a jump rope routine. Some of the acts are performed by Popovich, while others showcase the talents of his featured artists. One of them is his daughter Anastasie. She dances, twirls a baton and leads a group of adorable dachshunds in a routine. She directs the dogs with ease, a talent she must have inherited from her father. A fifth-generation circus performer, Russian-born Popovich developed his skills at the Moscow Circus School. His talents earned him a spot touring with the Moscow Circus. 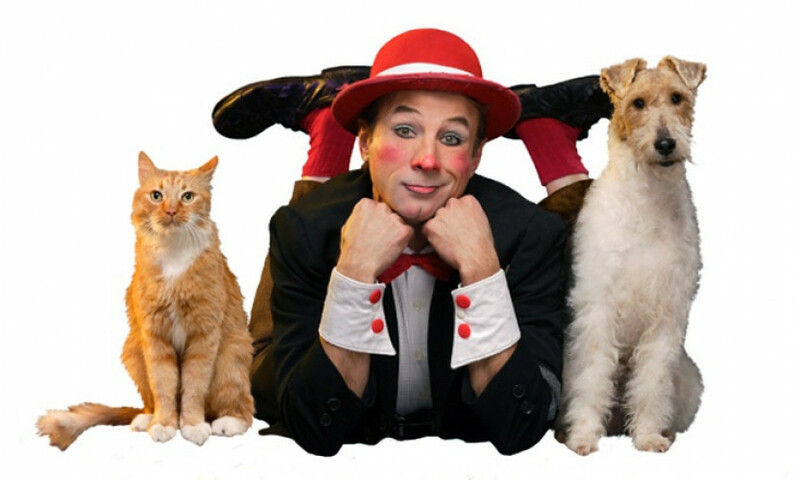 He has performed throughout Europe, Japan and America in the Ringling Brothers and Barnum & Bailey Circus and at the Circus Circus in Las Vegas. In the show he juggles pins and small hoops and even balances on a free-standing ladder. Hailing from a family of circus performers, Popovich also learned how to create strong bonds with animals and how to train them. All of the animals in the show were rescued from shelters around the country and transformed into stars on the Strip. In 2009, Popovich released his first book, "You CAN Train Your Cat."